This grammar practice worksheet seems a bit too tough for the younger grades, so I’d suggest using it for 3rd grade and up. I know it’s hard to do super educational stuff on a day like Valentine’s Day when all the kiddos are wound up, but maybe this will help. 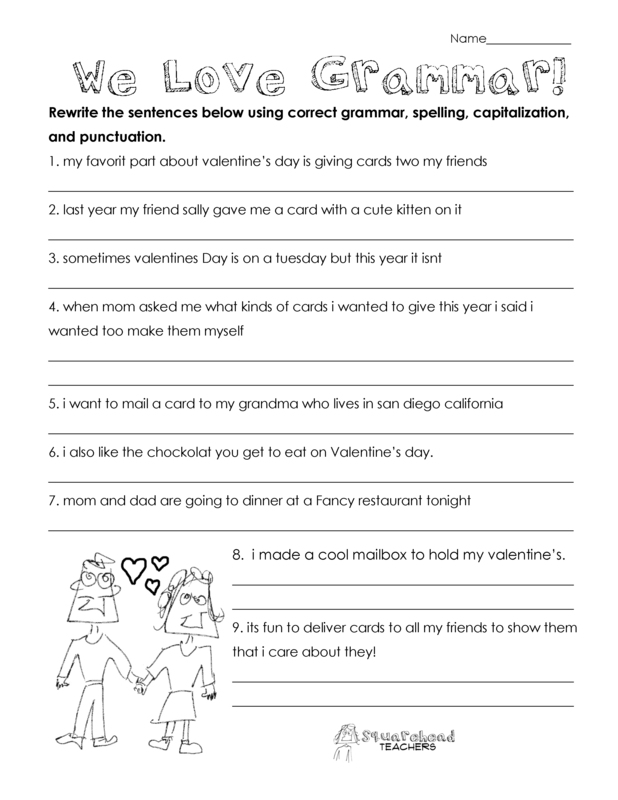 Click here for the free printable PDF: Valentine’s day grammar worksheet PDF Happy heart day! This entry was posted in Grammar, Valentine's Day and tagged Children, Education, Elementary School, Homeschool, Kids, Teacher Resources, Teachers, Teaching by Squarehead Teachers. Bookmark the permalink.